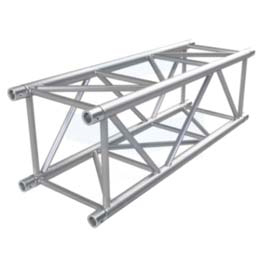 The system meets a request for a cage with a high load bearing capacity that allows safe outdoor use even in a free range of high load. 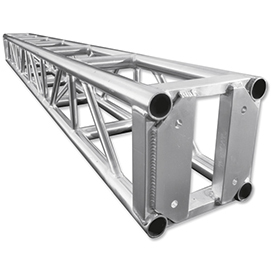 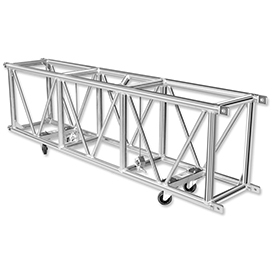 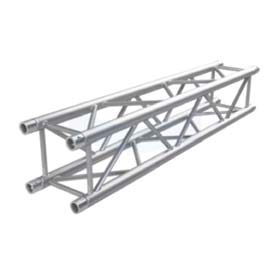 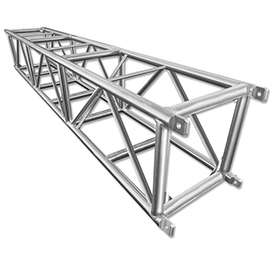 Thanks to its square profile geometry and its complementary diagonal support, the TOWER Truss exhibits the same stiffness both vertically and horizontally, and thus can be used as support for large spans in Rock and Roll Productions and Pre Rig, and is the main truss. 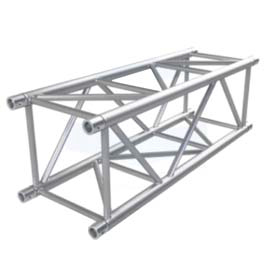 In the majority of the Tower Roof Systems, 4mm wall thickness reduces transport damage and guarantees extreme durability.